In this guide you will get an introduction to, how to use Hackpad in education. 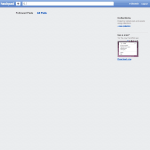 To get started with using Hackpad, you must create a user on Hackpad.com. 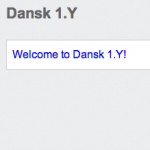 You can choose to create a user with your Facebook profile, with your Google account, or with your e-mail address. Once your profile is created you can log in, and you will see this page. In the upper right corner you can create a 'Collection'. Click the 'new collection', and enter a name for the collection — for example, your team or department name. 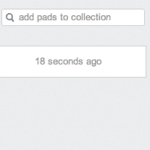 Hackpad automatically puts a first ' Pad ' or page into your collection. If you click it, you can change its heading and the content of it. Clicking the far right of the title, allows you to delete the pad. 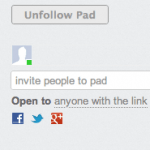 You can create a new pad by clicking the plus sign at the top of the page. 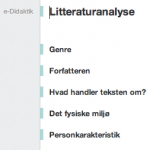 You can now fill out your ' pad ' with it you will, for example, you can make a template for literature analysis, which your students subsequently can fill. Your pad is automatically saved. Next to what you write, set your color – that way you can always view, what you have written on the pad. Your students will each have their own color, and their name will be displayed in the same way on the left side of the pad. In the right side of the screen, you can invite your students into your pad – it can either be done by entering their email addresses, or by sharing the url to your pad with them. You can copy the url from your browser address bar. You can also share via eg Facebook. You can also change settings, so that your pad is publicly available or so that it can only be accessed by those you've invited by entering their e-mail addresses. 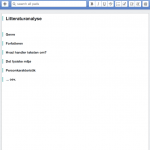 You can also share a ' collection ' or collection – so share all the subpages that lies in the collection. 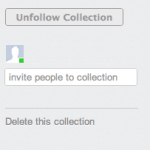 Collections can only be shared by entering e-mail addresses of those you want to share with. On the right side, you can delete your pads and collections. It is only the creator of collections/pads, that can delete them. 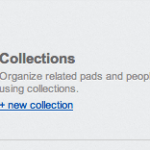 If you want to add existing pads to a new collection, you can do it by using the search box next to the collection's heading. Just type the name of the pad you want to add.